This post is brought to you by iLoveToCreate and BluePrint Social, but all ideas and opinions are my own. 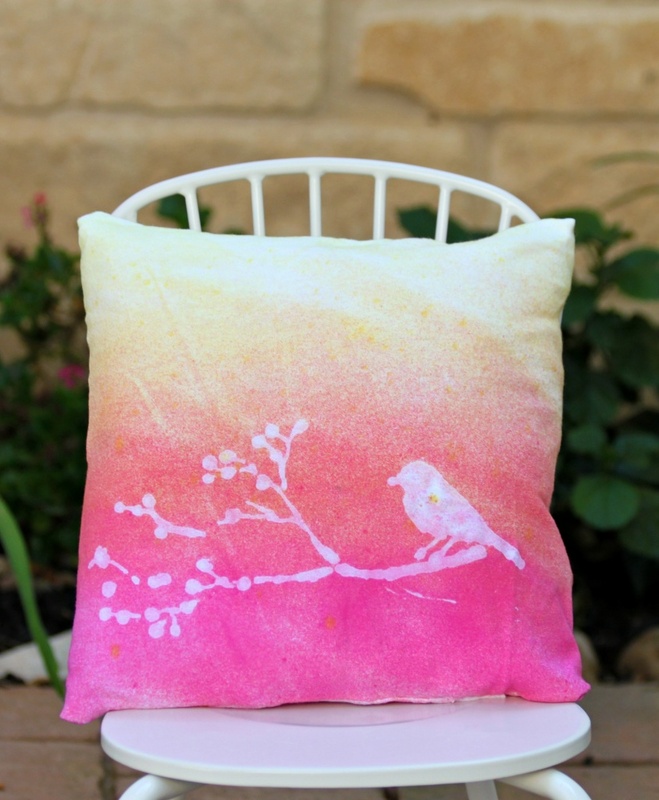 Not to brag, but how fabulous is this tie dyed pillow? 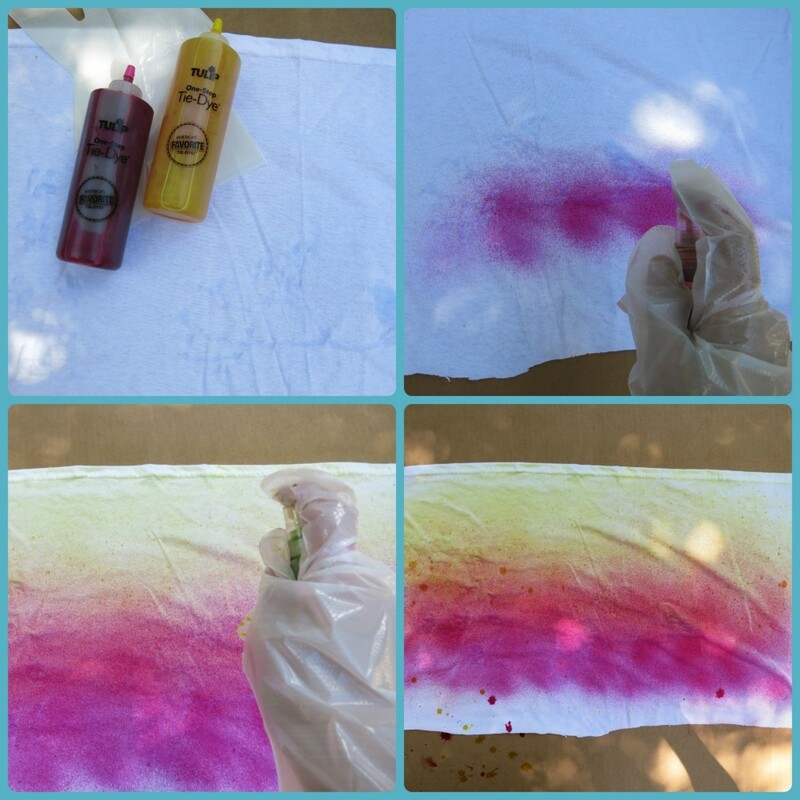 Ever since I tie dyed a hammock last year, I’ve been hooked on Tulip’s super easy to use one-step tie dye products. My kids and I had a blast last summer with the kits, and it’s become a new summer tradition for us. 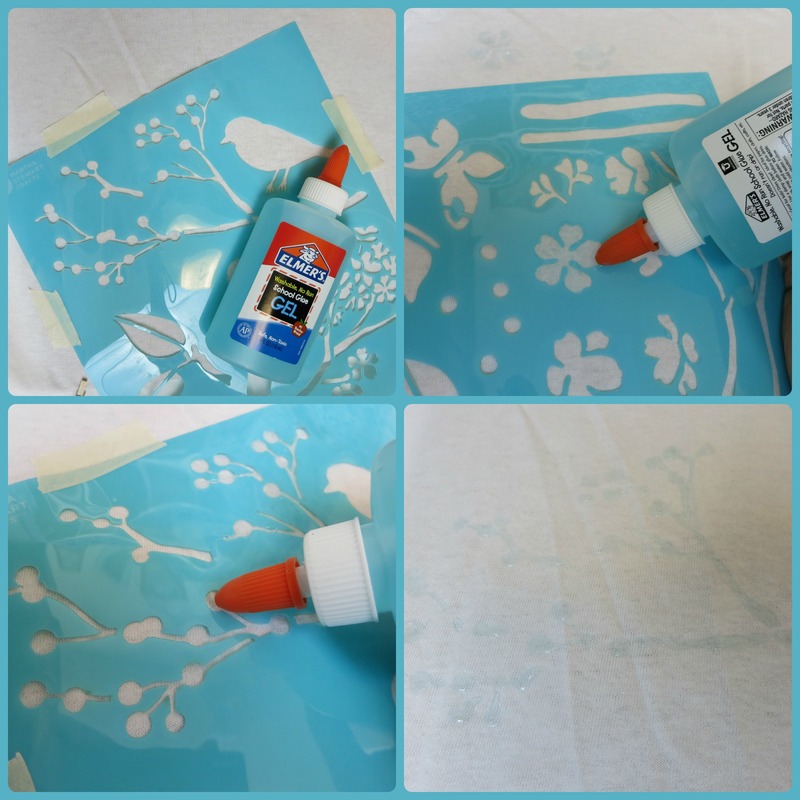 This year we’re trying out a fun technique: creating designs with glue and stencils. 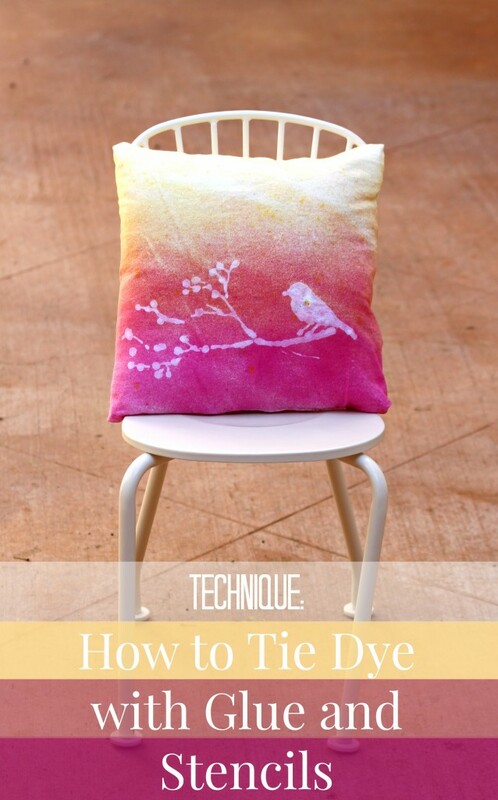 Keep reading to learn how easy this technique is, and how you can tie dye your summer! I’d never tried tie dying before last summer. While I liked the look, the idea of harsh fumes and boiling water were a little off putting. 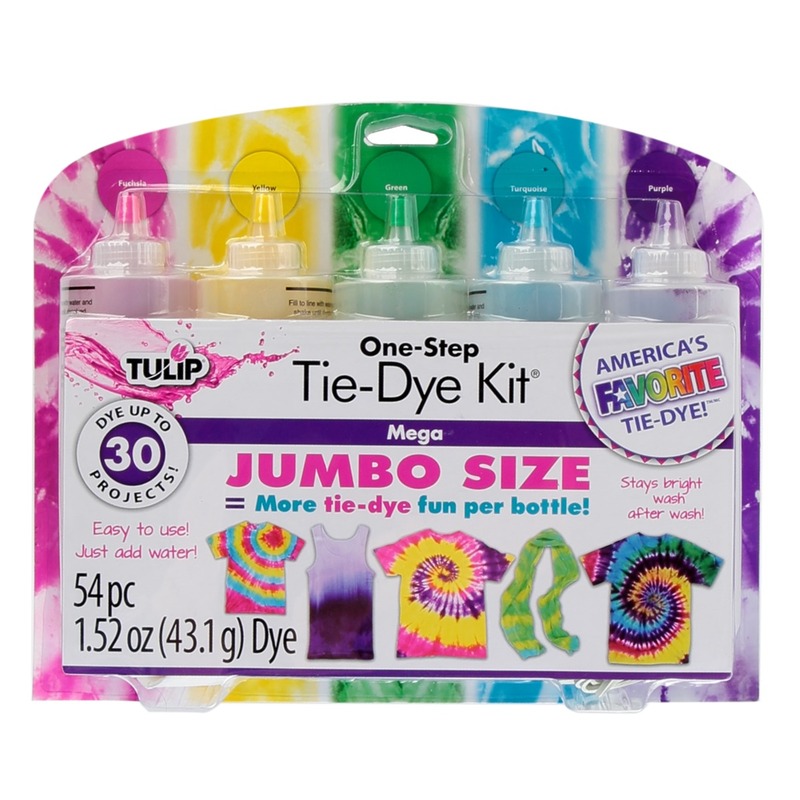 Then I tried the one-step tie dye kit from Tulip, and was instantly hooked. Everything you need…bottles, dye, gloves, rubber bands…are included in the kit. You simply add water and shake to activate the product. That’s it! The ease of use of this product is what makes it so perfect for kids and groups to use. 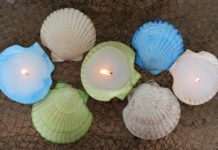 Check out this short video to see for yourself how easy it is for your family or group to tie dye your summer. So, once you’ve got your kit and you’re ready to start dying, here’s a fun technique for you to try. 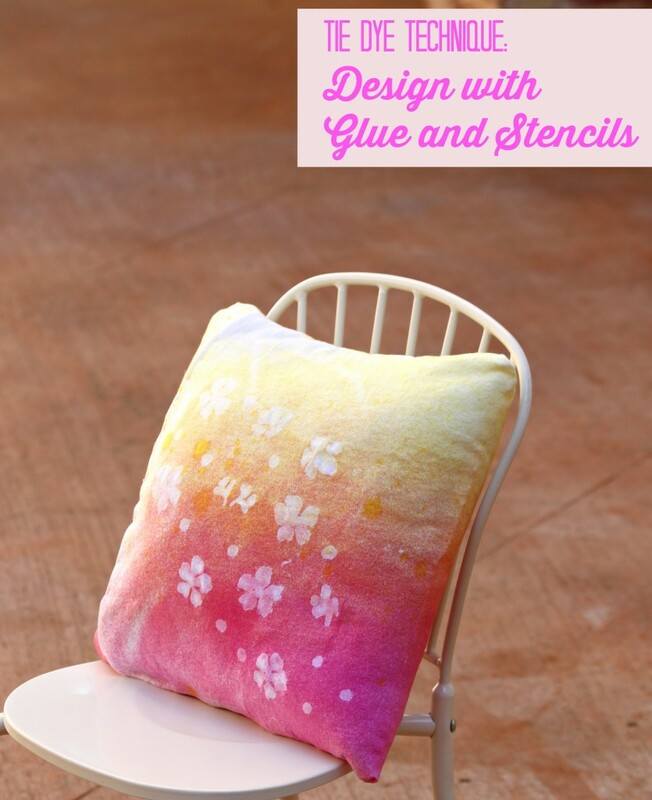 You can create beautiful designs on fabric when you use glue and stencils in combination with tie dye. It’s easier than you think! Step one: I cut my t-shirt so that it would fit my pillow insert. You can use other fabric, but I have found that white t-shirts give you the brightest results with dyes. Plus, they are so cheap and easy to find! Step two: Place the stencil on the fabric. Fill the design with the glue. Let the glue dry completely. Step three: Add water to the tie-dye bottle. 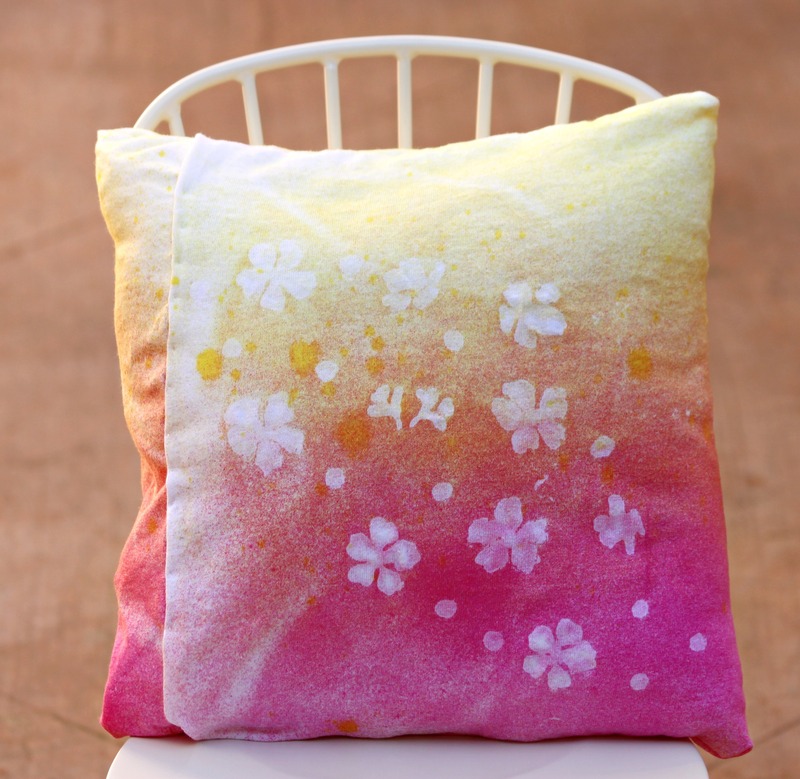 Since I wanted to create an ombre effect with the pink and yellow, I used mister bottles to add the dye to the fabric. The Tulip bottles make it easy and mess free to add the solution to a mini mister. The small tip makes it easy to fill the mister with. Step four: Mist the fabric with the tie dye. I started with pink on the bottom and moved towards the center. Then I sprayed yellow at the top and moved towards the center. 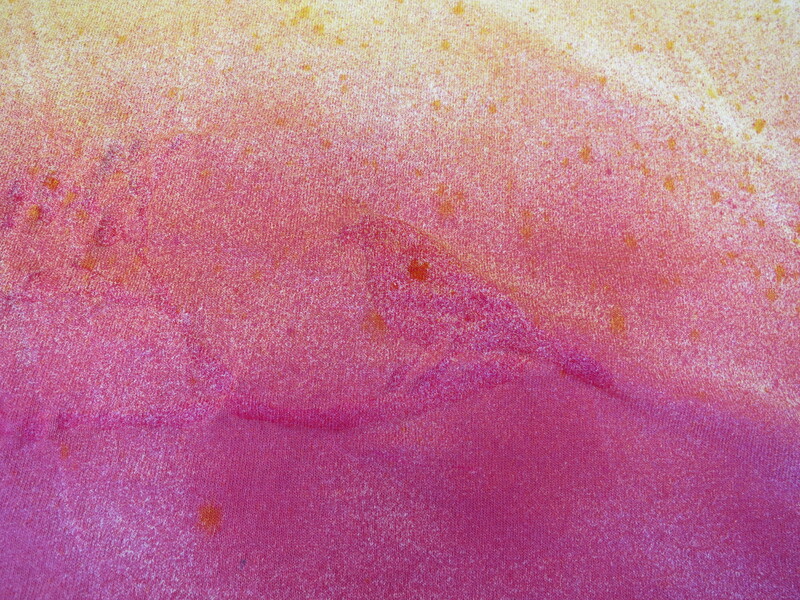 The colors overlap in the middle to create a pretty coral hue. At this point you might freak out a little because you can’t see your glue image at all. It’s OK. Take a deep breath and just relax. The magic will happen soon. Let the fabric sit for 6-8 hours and allow the ink to set. Step five: Wash and dry the fabric. That’s when you will see that the glue resisted the dye, and your beautiful design will emerge. Gorgeous, isn’t it? 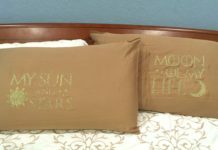 I sewed my fabric into a simple throw pillow. 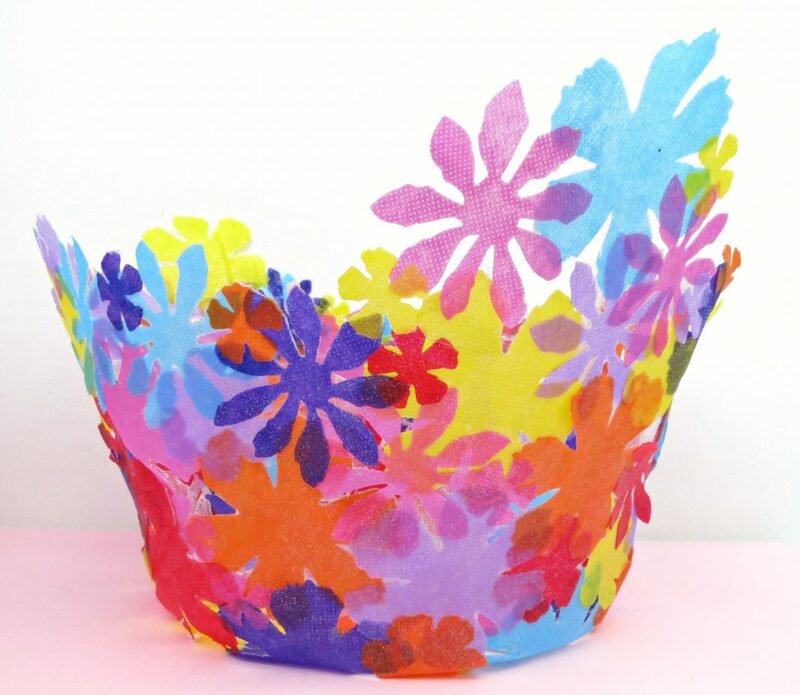 You could also turn it into wall art, a bag, or anything else you can imagine! I plan to try this with some pants, next, to create a beautiful piece of clothing. It’s so easy to do that you won’t be able to stop once you’ve tried this technique! 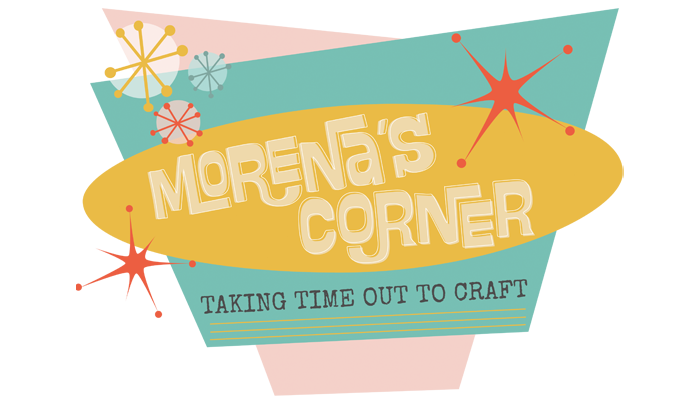 Have fun crafting, creating, and tie dying your summer! Love this! Did you use bright pink or fuschia to get this effect? Thank you! I used bright pink. Did you peel the glue off after you finished? 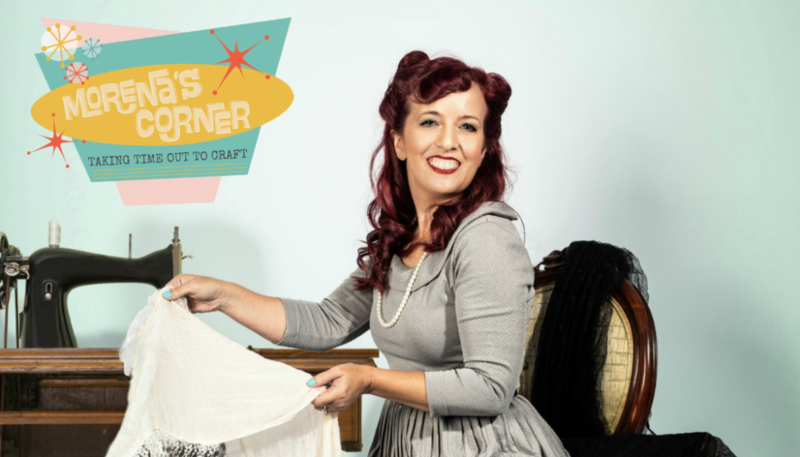 No, the glue washes out when you rinse the fabric! I love this technique. It turned out great. I was wondering if you don’t use the entire solution can you save it for later? Thanks! The instructions say the solution needs to be used and won’t last after a few days.